The St. Regis Maldives Vommuli has welcomed a new hotel manager to lead its operations. No stranger to life by the beach, Dominic Scoles has moved from the Turks & Caicos for his new role at the luxury private island resort. World Spa Awards has confirmed that its Gala Ceremony 2018 will be staged at The St. Regis Maldives Vommuli Resort on October 26th, welcoming hundreds of hospitality leaders from across the region and around the world. 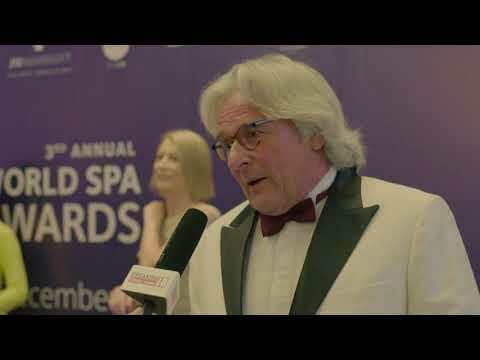 The application process for the fourth annual World Spa Awards – the premier awards programme in spa tourism – is now open. World Spa Awards is a global initiative to recognise, reward and celebrate excellence in the spa and wellness sector. Breaking Travel News talks to Hannah Dowd, spa director at Emirates Palace Spa, as the Abu Dhabi-based institution takes the title of Middle East’s Best Hotel Spa at the World Spa Awards. As the Sun Aqua Spa at Sun Aqua Pasikudah is recognised as Sri Lanka’s Best Resort Spa by the World Spa Awards, we speak to hotel general manager Mohamed Hilmy about the facility and how it feels to have been recognised as among the leaders in the industry.